The best of Downtown, all at once. Taste Walk Glendale is presented by Glendale Arts in partnership with Downtown Glendale Association. treat yourself to a 30-course meal. On May 1, 2019, come explore the culinary delights of Downtown Glendale, with samples from over 40 restaurants, live music, wine and beer stations. Discover Glendale's exciting new restaurants as well as its signature staples. Proceeds benefit Glendale Arts and the Alex Theatre, with a portion of the proceeds going to support youth arts programs. Taste Walk Glendale is the ultimate package in food festivals. Not only are you tasting the best of Downtown Glendale’s food scene, but you’re doing so right at the restaurants themselves. Taste Walk Glendale takes a traditional food festival and turns it on its head in the best of ways…if you’re a foodie looking for an insider experience, best to get in the know before this annual event blows up in LA. The Museum of Neon Art (MONA) will offer free access to the museum for all event attendees! Present your event wristband for free entry. The Greens at The Americana at Brand will host CV High Jazz Band. Taste Walk Glendale is made possible by the generous support of the following restaurants. Please show them your support and check back often for new additions! Glendale High School’s award-winning Instrumental Music Program has been under the directorship of Amy Rangel for the past 18 years – and it shows. Recognized as one of the nation’s best music teachers, Ms. Rangel was a Grammy Teacher of the Year Finalist in 2019. Under her leadership, GHS has earned honors as a Grammy Signature School. Awards include a Mr. Holland’s Opus Grant, Los Angeles Philharmonic Youth Orchestra Mentorship Program, Glendale Education Foundation Grant, Arturo Sandoval Institute Grant, Los Angeles Music Center Bravo Award, and the Kennedy Center’s Creative Ticket School of Distinction Award. Graduates of the GHS Music Program have received numerous music and academic scholarships to top schools including USC, UCLA, UC Berkeley, Berklee College of Music, Pepperdine, Stanford, Loyola-Mary Mount, Julliard, Yale, Harvard, University of Pennsylvania, University of Michigan, Stanford, Johns Hopkins, West Point, Carnegie Mellon, Brown, Boston University, Bryn Mawr College, and many others. A major reason the GHS program is so highly regarded is the opportunity for collaboration with professional musicians. GHS students have performed with Arturo Sandoval, the U.S. Coast Guard Band, Los Angeles Philharmonic, Gay Men’s Chorus of Los Angeles, Gordon Goodwin’s Big Phat Band, Oberlin Conservatory of Music, and the Reno Jazz Festival, among others. For more information on the Glendale High School Instrumental Music Program, please contact Amy Rangel at arangel@gusd.net or 818-242-3161 ext. 88103. The Caesura Youth Orchestra (CYO) is a 501(c)(3) charitable organization based on the El Sistema model to provide urban youth with a positive community where they can through music experience a break from the negative impact of drugs, gangs and economic disadvantages. We provide free musical instruments and music instruction to disadvantaged students in Glendale, CA. Free instruction is provided by professional musicians from various orchestras in the Los Angeles area. The target audience to be served through this charitable program is students in the south part of Glendale in the Third to Fifth Grades, with expansion as soon as practical to include students from pre-school to high school. Students meet four times a week after school. Education also takes the form of attending performances of orchestras at no charge to students and their parents, through cooperative relationships with groups such as the Glendale Youth Orchestra. We provide regular performance opportunities for students in the program. Students perform regularly at Cerritos Elementary, local churches, hospitals and community events. It is estimated that 80% of organizational time will be spent on music education, and 20% on performance. CYO is funded through grants, corporate donations, in-kind donations, ticket revenue from performances and gifts from individuals and service clubs. 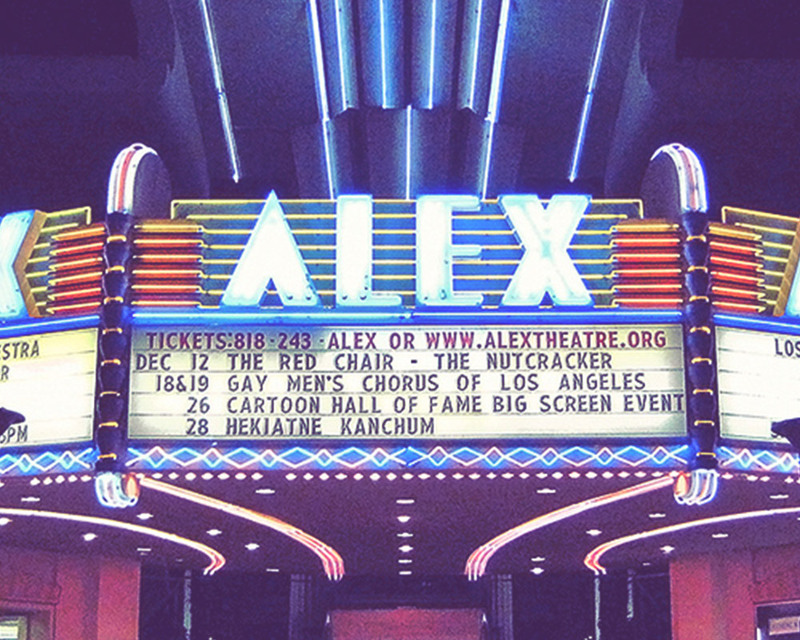 Glendale Arts is a private nonprofit 501(c)(3) arts organization, and was formed by the City of Glendale to manage the operations of the Alex Theatre. Since its beginning, Glendale Arts’ mission has evolved into one that works to grow the cultural identity of Glendale through the arts. Glendale Arts currently employs 16 full-time and up to 50 part-time staff members who are employed as stage technicians, house managers, custodians, security guards, box office ticket agents and administrative staff. When you participate as a Taste Walk Glendale sponsor, you engage a highly diverse audience from Glendale and beyond. You educate guests about your brand, and align your values with the important mission of Glendale Arts. When you support Glendale Arts, you support great, surprising, amazing, and wonderful art, and you support youth arts education. By supporting Glendale Arts, you understand that the arts bind us together as a community. Volunteering for the event is a great way to get involved, support your community, and support the arts at the same time! Volunteers assist with greeting, checking people in, setting up/tearing down, and generally being amazing event ambassadors. We offer fun perks like a free T-Shirt, a meal wristband, a letter of recommendation, and volunteer/school credits. We are seeking musicians who can animate the event route, connecting participants and restaurants with lively musical entertainment. We are looking for a wide variety of musical styles including jazz, pop, folk, rock, alt, indie, salsa and classical. There are no application fees and an artist stipend will be provided to successful candidates. If you are a Glendale restaurant owner or chef eager to become a part of Taste Walk Glendale, let us know! Click below to join us at this year’s event. Guests sample beers and wines, and assorted specialty cocktails in the exclusive VIP lounge, which means that we’re always looking for the finest merchants to help our guests sip and savor local creations. The Glendale Educational Foundation is a community of individuals that have come together for a common goal: to provide outstanding schools for the children in the Glendale Unified School District. The “Music Matters” campaign helps Glendale students make music and realize their full potential by supporting music education at Glendale Unified School District middle schools and high schools. Camp Rosie is a no-cost girls empowerment camp for 7th-9th grade girls. YWCA Glendale will partner with Glendale Arts’ dance and theater program to expand the services and instructors available for the Summer Camp participants. The program encourages the participants to explore the arts and expand their knowledge of skills such as singing, dancing and acting. The Camp ends with a final performance at the end of the eight week session.